Darren Kriss arrives at the Kiss 92.5 radio station in Toronto on June 12, 2013. The 'Glee' star signed autographs and posed for pictures with his fans. 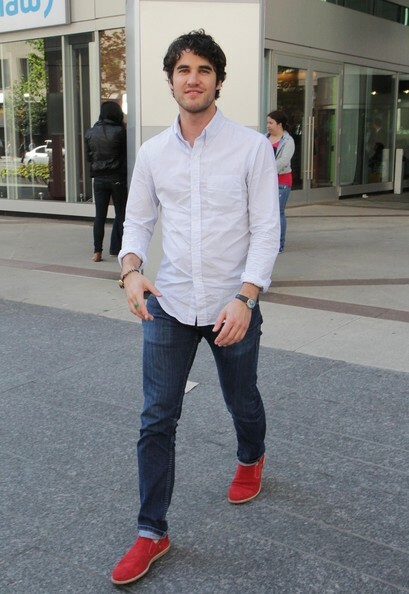 Darren's skinny jeans kept his look casual and relaxed while out in Toronto. Darren Criss chose a super casual look while out in Toronto when he wore this classic button down.